In LTP's circular display of the liturgical year, the key features are easily understandable: the liturgical seasons in their characteristic colours, Sundays on the outer rim, and the days and weeks radiating from the center. 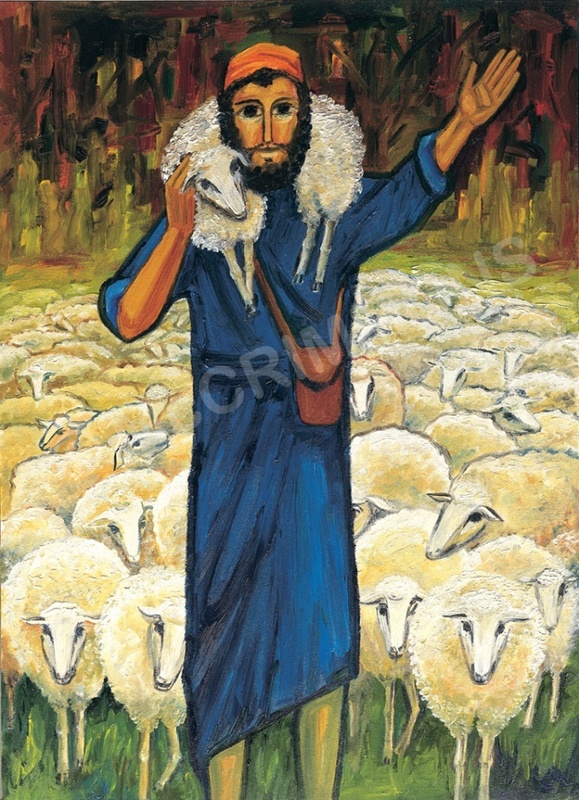 This year's art, by Cody Miller has portrayed Christ enthroned holding a scroll with the prophecy of Joel. In the four corners we see four great prophets who manifested that prophetic spirit in the pages of Sacred Scripture. Reading clockwise from the upper left, three prophets fron the Old Testament appear with their scrolls: Deborah (Judges 4-5), Isiah (shown with his wife and children), Ezekiel eating the scroll with the Word of God given to him by the winged creature, and the New Testament prophetess Anna tells everyone that the infant Jesus, presented in the Temple by is parents, is the redeemer of Israel. 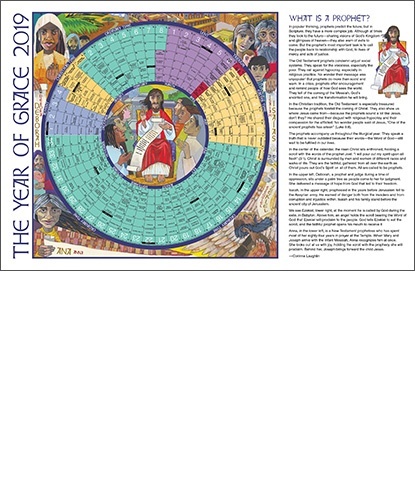 The Year of Grace Calendar 2019 liturgical year follows the Sunday Year C cycle and the Weekday Year I cycle, beginning on December 2, 2018 (First Sunday of Advent) and ending on Friday, November 30, 2019.